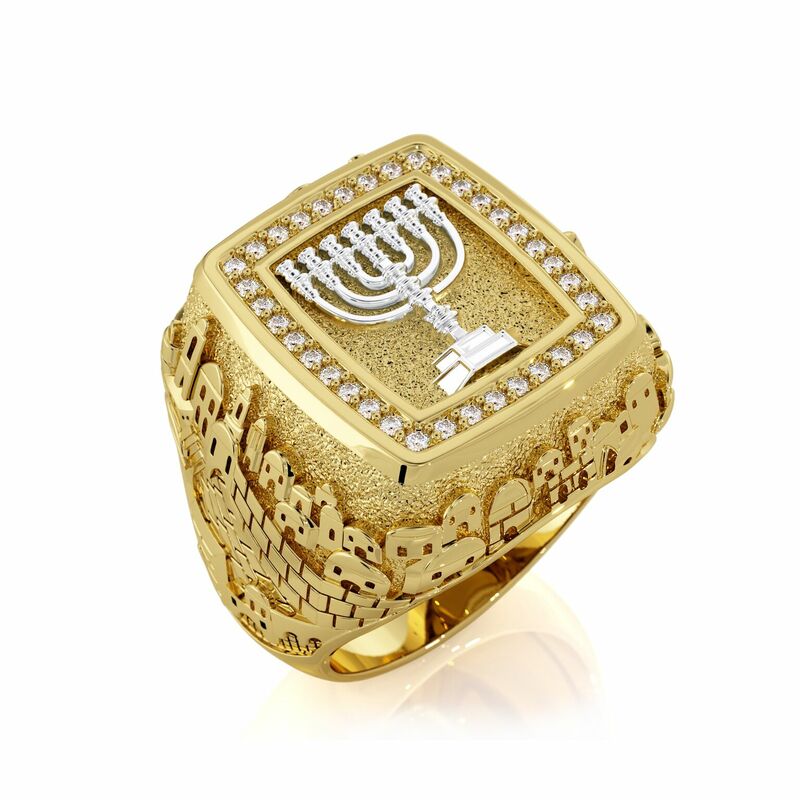 A one of a kind highly detailed 3D Jerusalem styled 14K gold men’s ring set with 36 diamonds and a silver menorah in the center of the ring. 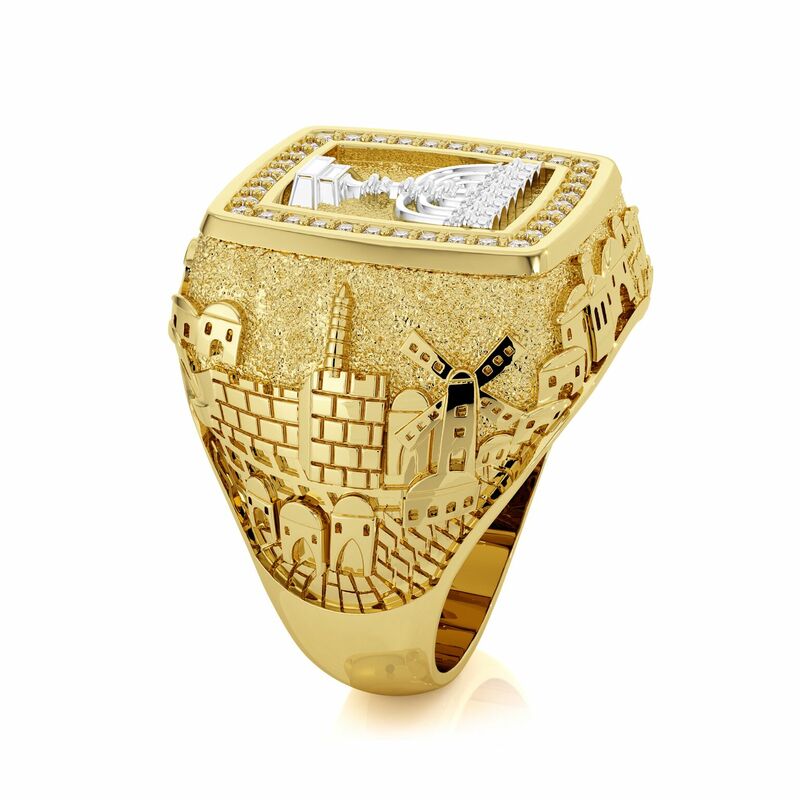 Jerusalem will always be close to you with this men’s ring with intricate details of the City of Jerusalem and the Western Wall. 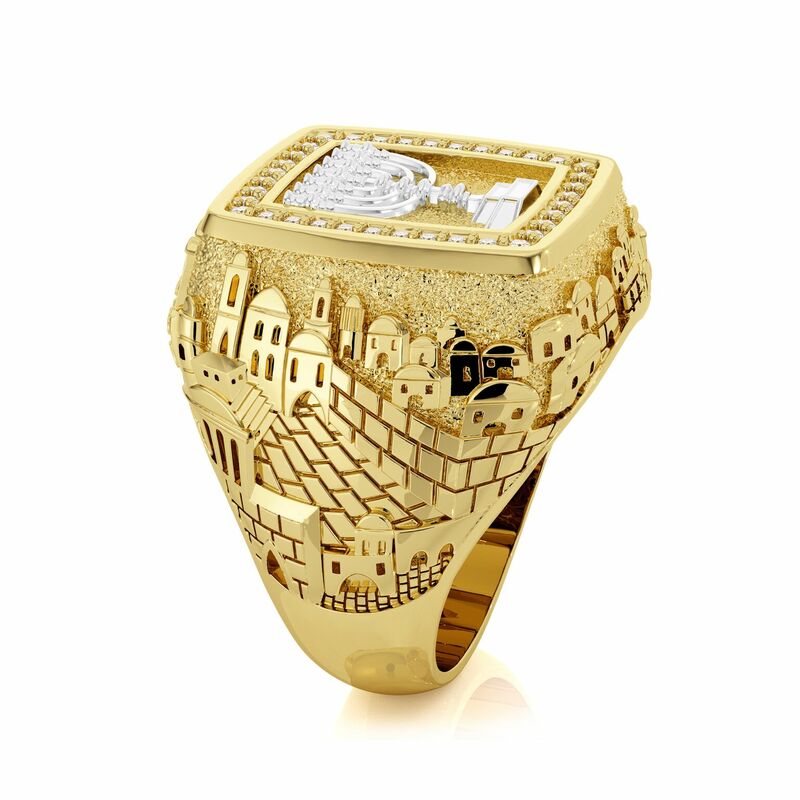 The high quality craftmanship is noticeable in all aspects of the ring. The diamonds are 0.54 karat, color G and clarity VS.